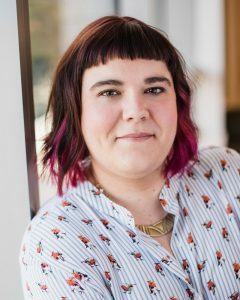 As the Founder and Chief Strategist of Cliqueworthy, Sophie’s the powerhouse and connection-creator that links our clients to their audiences. Beyond holding a BA in Communications with a specialization in Public Relations, she’s a self-taught digital pro with a serious affinity for the analytics that power online experiences. A firm believer in the power of making meaningful connections, Sophie has amassed over fifteen years of experience in online marketing and communication strategy. She’s shared her digital marketing savvy as a featured speaker to thousands of business owners across North America, and has had work featured on media outlets such as YFS Magazine, the Female Entrepreneur Association, the BizChix podcast, Mirasee, and PAX Magazine. Beyond Cliqueworthy, she can most likely be found flexing her creative muscles – whether it’s exploring with her Canon SLR or creating a mixed-media masterpiece. She’s also currently accepting recommendations for her next trip abroad, so if you’ve spent time in Italy, Spain or Portugal, feel free to send insider tips her way. At the age of 12, Sophie made her Canadian television debut on a CBC games show called Au Jeu. Her team lost spectacularly. She staunchly refuses to show us the footage.